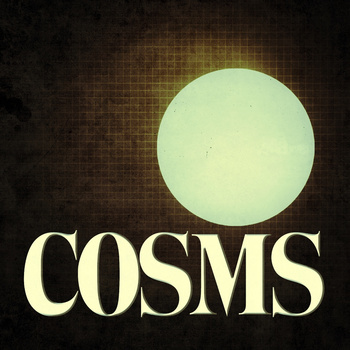 Formed in the summer of 2012, Austin-based Cosms is composed of a Josh, a Doug, and a Damen. With a sound that is familiar, yet strange, Cosms seamlessly weaves complex rhythms with ambient soundscapes and layers riffs that roll over them. Those inclined to hyphenated hybrid genre titles might consider it space-gaze-post-math-rock-noise. In the end, any attempt at an accurate description comes up short. Save yourselves the effort and just listen. They just recorded their first 4 song EP at Ohm Studios in Austin, TX. Listen to a Cosms track while reading the interview. FTY : Can you tell me about the members of Cosms and how did the band get it’s name? Josh and Doug are both transplants from the Midwest that moved down here a couple of years ago. Damen has recently relocated to Austin from China at the first of the year. We met through a post on craigslist. The band name was chosen right before we went in to the studio after a series of band meetings. Space was a common theme for all of us. COSMS was the one we chose. It has since become to mean different things for all of us. A: Our music is complex without sounding overly complicated. It is happy music, but there is a sadness there if you look for it. FTY : You have very recently released your debut EP, what can you tell me about it? We recorded our EP before we played our first show at Ohm Studio in Austin. We wanted to have a quality body of material to hand out at our shows. We thought we could attract the attention of people with good recordings. Each song has been written in different ways. Josh and Doug usually start with an idea and then we jam on them until they develop into something. It is definitely a collective process. FTY : How often do you play live and are there any plans on doing any tours (outwith texas) in 2013? For the past couple of months, we have been playing about every 2 weeks. We are working on new material and hope to tour shortly thereafter to promote it. We all come from different circles, but some of our influences overlap. Tortoise, Battles, and Mogwai are obvious influences. We try and get our music to peoples’ ears. We use Facebook because everyone is connected to it. We use Bandcamp as a place to download our music. Tumblr serves as our homepage (http://cos.ms). Most importantly, we play our music live. Those media sources help us spread our material to new listeners, but there is no substitute (especially in this genre) for a live show. Also, we just joined the Southwest Post-Rock Collective. It is a group of like-minded artists that have come together to help promote each others music and ideas. It is a great feeling to be surrounded by such a force for creative output. Damen: Jack White and Snoop Dogg. It would be fun! Josh: Adrian Belew. He never ceases to surprise me. I think playing with him would blow my mind wide open. Damen: El Ten Eleven! Josh gave me all of their albums. I like it! Also, the Knifes. Josh: Palms! Also Zombie Western. We just played with them at Red 7. There album “The Great Migration” has not left my cd player for about a month. Doug: Mind Control by Uncle Acid and the Deadbeats. FTY : What does the future hold for Cosms? A full length album. Shows. Shows. Shows.